4 major areas. More than 50 main sites and topics in one day! Dear friends, we are kindly ask you to be at the meeting point 15 minutes before our adventure will start. 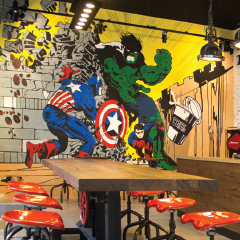 Drink what you love in marvelous place absolutelly for free with a LEGENDARY TOURS voucher! This romantic 50-minutes sightseeing cruise is one of the most delightful ways to see the beauties of Prague. Enjoy a comfortable trip with a nice drink in your hand and someone special by your side. 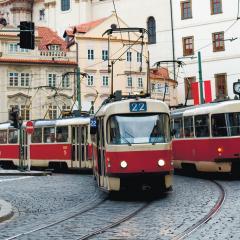 The offer includes a typical Czech meal with a vegetarian option available and one soft drink or beer. at 16.00 in the Old Town. For 6 hours you will see over 50 major sights like St. Vitus Cathedral in Prague Castle - the biggest one in Czechia. 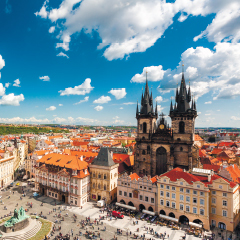 You will also get to Charles Bridge with its mystery legends and continue to the Old Town Square that looks like a fairy tale of the Middle Ages with sound of Astronomical Clock...but the list is endless. You will have time to enjoy the city from the river ship and walks along the Vltava river: bridges, palaces, historical buildings, islands and the silhouette of the Prague Castle - what a pleasant impression, isn't it? Too much of walks? 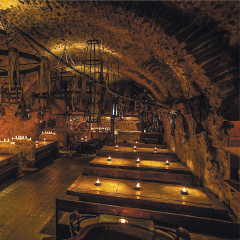 Don't worry, you will also have a lunch in a medieval tavern with traditional Czech meals and drinks served on long wooden tables and 50 minutes river cruise. Of course included in the cost of a walk. 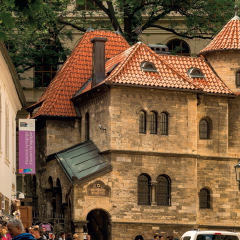 If you understand "Prague is the capital of Czechia" in English - tour is for you! Don’t worry, most of the tourists are from different countries with basic level of English. 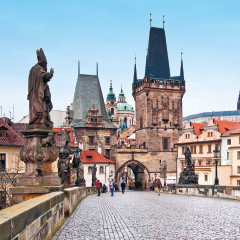 You will enjoy the ALL INCLUSIVE PRAGUE TOUR and understand everything! 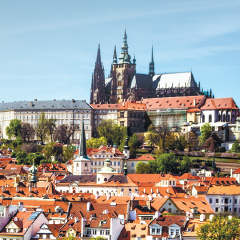 How to book the all inclusive prague tour? 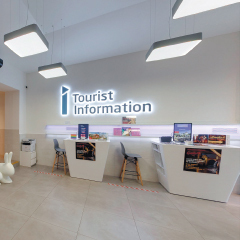 Book online now and get 10% discount! During the excursion you should have a passport with you. Persons without passports or ID not going on the tour, no refunds. Unfortunately, there is no possibility to wait for latecomers. Please arrive on time. In case of delay , no refunds. Additional charge for entry to cultural objects (museums, galleries, exhibitions) and some castles. Refund / changes: If you decide to refund or change your paid excursions please, contact us as soon as possible. Full price doesn't return if cancellation will be less than 24 hours before its start. No refund for: missed pick-up, missed departure time, delay of pick-up, weather conditions, get lost on the tour, traffic jam, unexpected changes in opening time of visited sites, purchased tickets, traffic restrictions, force majeure.